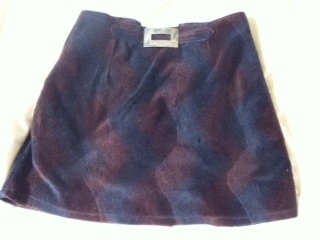 The July sunny weather prompted me to wear my “skort” (a.k.a. short pants inside a skirt) in going to the office. I consider it as one of my “prized” possession because I’ve had it for 13 years. It’s classic, chic and comfortable. A total gem eh? Anyway, I was so happy wearing it… until I felt that the zipper malfunctioned. Darn! For a split second, I was rattled and worried. Good thing I was inside the washroom when it happened, thus, I was able to come up with an unconventional solution. Whew! 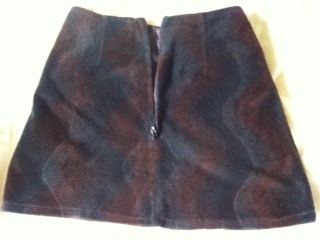 I switched the position of my “skort”, this time the zipper was placed in front. 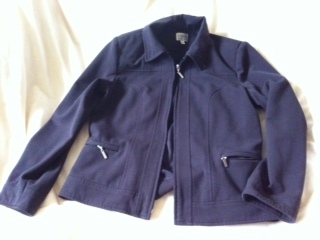 Then, I zipped my jacket and pulled it down to temporarily keep my skort in place. I must have visited the washroom a number of times throughout the day to check the “condition” of my skort. My colleagues must have been wondering if I was suffering from stomach upset. On the other hand, the strong summer breeze on my way home was a blessing in disguise. I would have looked like a fool wearing a thick jacket during a sunny day. Ha! Let there be wind! A jacket surely comes handy in times of “crisis”. Aja!